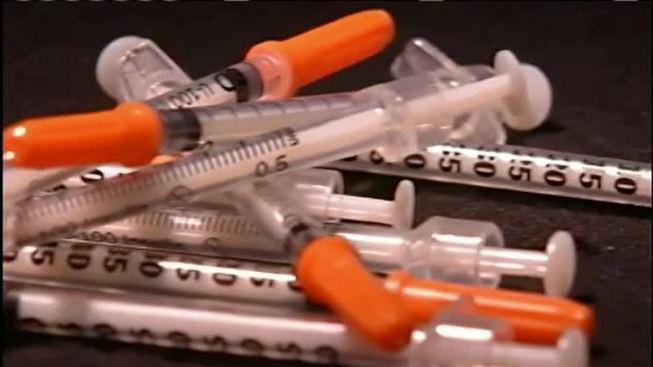 Public Health officials in Waltham, Massachusetts are warning residents about a recent spike in drug overdoses in the city. According to the city's Health Department, there have been eight overdoses over a 3-day period. Many of the incidents required multiple doses of Narcan to reverse the overdose. In a statement Monday, Waltham public health director John Zuppe urged residents who are suffering from a substance abuse disorder to "be extra vigilant in the coming days." "Do not use alone, check on loved ones frequently and if you suspect someone is having an overdose call 911 immediately," Zuppe said. The state's Department of Public Health announced in May that there was about 5 percent fewer opioid-related deaths during the first three months of 2018, compared to the same time period in 2017.